Members of the European Parliament have called for the European Commission to impose visas on U.S. citizens visiting Europe amid an ongoing dispute over visa restrictions against five EU nations. MEPs called on Washington to grant the same visa free program to nationals of Bulgaria, Croatia, Poland, Romania and Cyprus as enjoyed by citizens of the other 23 EU nations. EU rules require equal treatment for all member states. 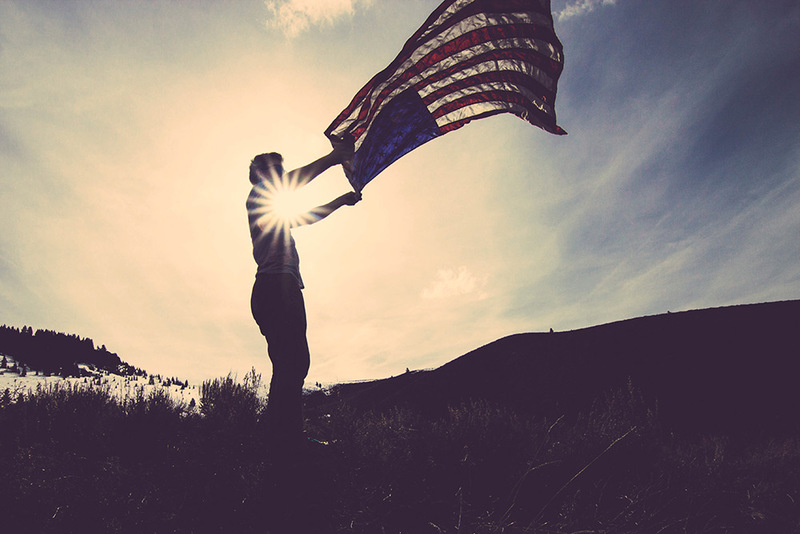 U.S. citizens can currently visit all EU nations without a visa under the visa waiver program. The Commission discovered three years ago that the US was not meeting its obligations under the reciprocity agreement but has not yet taken any legal action. The latest vote, prepared by the civil liberties committee and approved by a plenary session of parliament, gives the Commission two months to act before MEPs can consider action in the European Court of Justice. The Commission is legally obliged to act to suspend the visa waiver for Americans, but the European Parliament or the Council of the European Union have the chance to object to the “delegated act” it uses to do so. If applied, it would temporarily impose visa requirements on US travelers until full visa reciprocity is achieved. But EU nations would stand to lose out if tourism and business travel from the United States were impacted. Migration Commissioner Dimitris Avramopoulos warned of “consequences”, including potential “retaliation” and a drop in visitor numbers precipitating substantial losses for the continent’s tourism industry. Just days ago the Council said it would liberalize the visa regime for citizens of Georgia travelling into the EU. Georgians can now, subject to final approval of the regulation, stay in any EU country for 90 days in any period of 180 days without needing a visa. The European Commission has been working toward a resolution of the visa dispute. 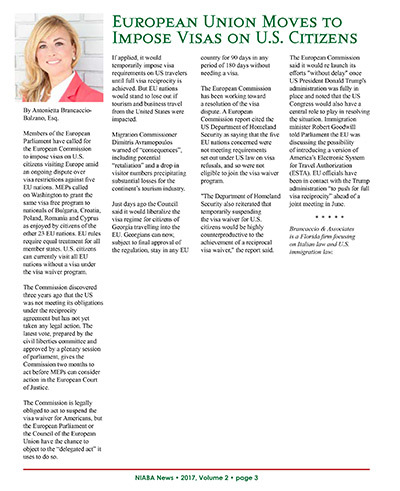 A European Commission report cited the US Department of Homeland Security as saying that the five EU nations concerned were not meeting requirements set out under US law on visa refusals, and so were not eligible to join the visa waiver program. “The Department of Homeland Security also reiterated that temporarily suspending the visa waiver for U.S. citizens would be highly counterproductive to the achievement of a reciprocal visa waiver,” the report said. The European Commission said it would re launch its efforts “without delay” once US President Donald Trump’s administration was fully in place and noted that the US Congress would also have a central role to play in resolving the situation. Immigration minister Robert Goodwill told Parliament the EU was discussing the possibility of introducing a version of America’s Electronic System for Travel Authorization (ESTA). EU officials have been in contact with the Trump administration “to push for full visa reciprocity” ahead of a joint meeting in June. Brancaccio & Associates is a Florida firm focusing on Italian law and U.S. immigration law.